Tekscan: your trusted technology partner. 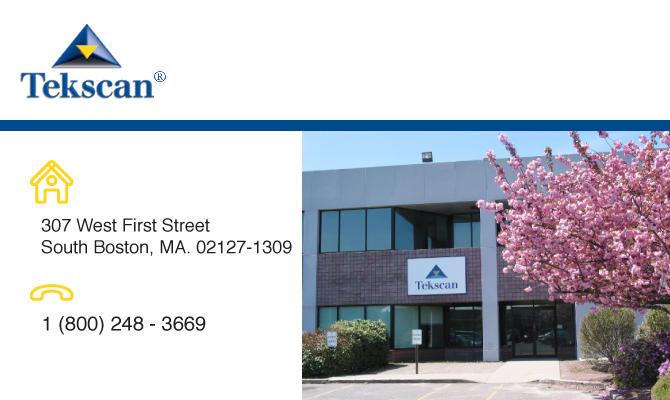 Quality – Tekscan, Inc. is committed to quality. Sensor design, manufacturing, and production happen at our company-owned ISO 9001 & 13485-certified facility. Our Technical Team is made up of electrical and mechanical engineers who consult directly with customers throughout each step of the sensor design process, from conception through production. have recently undergone an extensive renovation and remodel in our company-owned facility. This included installation of additional state-of-the-art manufacturing equipment to increase our yields and control costs. Because we have no debt as a company, our customers can be confident they are making a smart and solid investment when they choose Tekscan as their sensor partner.